Lani and Erin are bonded for life. One thing that connects them is their fascination of fate. Lani wonders how much of our lives has already been decided and how much we can actually influence. Since the Unknown can unexpectedly change our lives forever, how much can we really control? I was really excited for this book! I mean just look at the cover, how can you not fall in love with it!!! But unfortunately it was not as good as I was hoping. It was very mainstream, and I was expecting so much more. 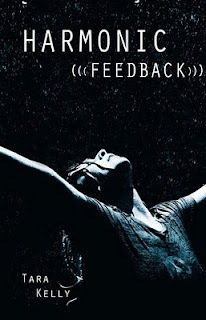 I really wish I had liked it better, while it was not a bad book, I did not really like it either, it just felt kind of flat, but I am not sure why, maybe because I felt that I had read a version of the book before. The characters were ok, I liked Erin, but Lani was kind of annoying. THE TRANSFORMATION Beth has always been “The Beast”—that’s what everyone at school calls her because of her awkward height, facial scars, and thick glasses. Beth’s only friend is geeky, golden-haired Scott. That is, until she’s selected to be her choir’s soprano soloist, and receives the makeover that will change her life forever. When Beth’s choir travels to Switzerland, she meets Derek: pale, brooding, totally dreamy. Derek’s untethered passion—for music, and for Beth—leaves her breathless. Because in Derek’s eyes? She’s not The Beast, she’s The Beauty. When Beth comes home, Scott, her best friend in the world, makes a confession that leaves her completely torn. Should she stand by sweet, steady Scott or follow the dangerous, intense new feelings she has for Derek? The closer Beth gets to Derek, the further away he seems. Then Beth discovers that Derek’s been hiding a dark secret from her …one that could shatter everything. I think that if a book makes you cry, it should get at least four stars! Because in order for me to cry I have to be totally involved with the story, and have fallen in love with the characters! I cried near the end of this book! It really made me think about how lucky I am. Besides that I really wanted to read this book because I thought it was a retelling of Beauty and the Beast, which I absolutely love! Which it kind of was, but it was so much more! It was a story of tragedy, confidence, love, and finding yourself. The characters were amazing, I fell in love with every single one of the main characters! I wanted Scott to be my best friend, and Derek to be my boyfriend. I think the feelings that Beth had at the beginning of the book are very common, especially for Teens. I really appreciated this story and I hope it will encourage all kinds of people! Overall an amazing book, with so many messages! You have to check it out! Time for another Book Blog Hop!!!! Hosted by Crazy-for-Books! Go check it out. And if you are visiting my blog from the Hop, thanks and please leave a comment so I can visit yours! Life in the court of King Henry VIII is a complex game. When fifteen-year-old Catherine Howard catches the king’s eye, she quickly transforms from pawn to queen. But even luxury beyond imagination loses its luster as young Catherine finds her life—and her heart—threatened by the needs of an aging king and a family hungry for power. Will their agendas deliver Catherine to the same fate as her infamous cousin, Anne Boleyn—sacrificed at the altar of family ambition? The stories of King Henry VIII his wives, and his children have to be some of my favorite ever! I absolutely love that time period in English History. So needless to say I was really excited to read this book! This is the story of King Henry's fifth wife, and one of the ones that is less heard of. I really enjoyed learning more about Catherine Howard, I enjoyed seeing her relationship and confusion during her marriage with Henry, Alisa Libby really shows the doubts that Catherine must have felt as well as the confusion she would have had at the end of her life. I enjoyed seeing the characters in new and different more personal ways! One of the things that ruined this book for me was knowing all the while how it ended, but thats just me, and the book has to end that way because that is how it really ended. Overall I loved the book! It dove into the intrigue of the court, and Henry's little heard of fifth wife. I really enjoyed this historical novel! Make sure to check out Alisa's guest post to see some of her favorite YA books! 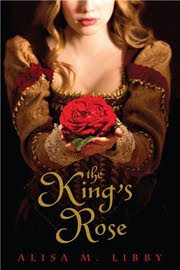 Please welcome Alisa M. Libby the author of The King's Rose which I reviewed here. She is here to talk about some of her favorite YA books! I love young adult fiction. I'm drawn to read it and to write it. As young adults we're trying to figure out the type of people we want to be; this element of change adds to the charged atmosphere of any good young adult novel. In honor of YA fiction, here are a few of my favorites. These books opened my eyes to the vast possibilities of YA fiction. They're urban fantasies, and also fairy tales, and also prose poems. Some of the subject matter is dark and edgy, but it's still all sprinkled with pixie dust, as is Block's style. I am a huge fan of her work; I also loved her dark novel The Hanged Man. 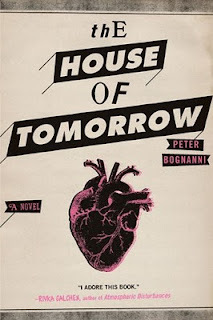 I love Robert Cormier's writing in general (other favorites include Tenderness and In the Middle of the Night) but here he blew me away with his own take on magical realism. Everything in this world is so undoubtedly real that when the main character learns that he has the power to become invisible, why would I doubt it for a moment? I'm convinced that Cormier himself had "the fade." This might be borderline middle-grade/young adult, but it's probably my favorite adventure story. I loved the character of Sibby, a girl more at home in the world of a magical quest than in her own hometown (which, it so happens, was very near where I grew up). 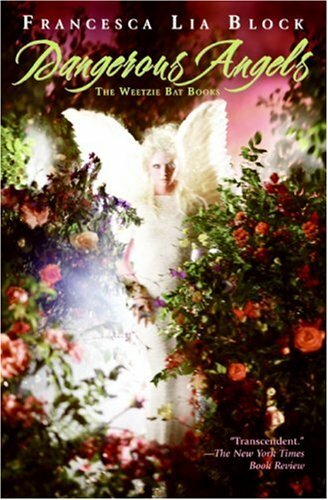 If you love fantasy than I highly recommend this book, the first of a trilogy. For more fantasy choices, I highly recommend the classic The Last Unicorn by Peter S. Beagle, along with Undine by Penni Russon (first of a trilogy), The Black Tattoo by Sam Enthoven. For contemporary realistic fiction I recommend Nothing Like You by Lauren Strasnick, Speak by Laurie Halse Anderson and Silent to the Bone by E.L. Konigsburg. There are dozens of other books that I've loved, that have impacted my own writing and helped me learn new techniques. There is nothing that teaches me more about writing than reading great books. Thanks Alisa! And make sure to check out my review for The King's Rose! Princess Bookie is hosting another Remake a cover contest!!!! This is mine! After climate change, on the north shore of Unlake Superior, a dystopian world is divided between those who live inside the wall, and those, like sixteen-year-old midwife Gaia Stone, who live outside. It’s Gaia’s job to “advance” a quota of infants from poverty into the walled Enclave, until the night one agonized mother objects, and Gaia’s parents are arrested. Badly scarred since childhood, Gaia is a strong, resourceful loner who begins to question her society. As Gaia’s efforts to save her parents take her within the wall, she herself is arrested and imprisoned. This books starts with Gaia, a midwife-in-training. delivering her first baby, alone. Which would take a large amount of determination on her part. And the determination never ends, throughout the whole book, Gaia is fighting for her life and the lives of those she loves. Gaia was a wonderful protagonist! She was strong, determined, resourceful, and strong! Even though her problems were not really relate-able while realistic, the way she dealt with them was. I definitely fell into this amazing book! While for me the book took a little while to pick up, after a point I found my-self drawn into the story and into the world. I thought I was not going to like this book after reading the first few chapters, but I fell in love with the rest of the book! I definitely recommend that even if you find the beginning to be slow, to stick through it! It will totally break through your expectations! Overall even though the beginning was slow, the characters, and rest of the plot, made up for it and more! A must read!!!!!! An amazing debut, and I hope there is going to be a sequel! Cort, the high school senior jock seems to have it all -- except a summer job. When he lands one doing women's nails, his eyes are opened to the catty, back-stabbing world of females. Girls he thought he knew and trusted turn out to shock and use him. He gets to know Rachel, an elusive girl the others gossip about, a girl with secrets. From her he learns there is more to life than weekend partying and social status, and one of the secrets she shares with him will change his life forever. 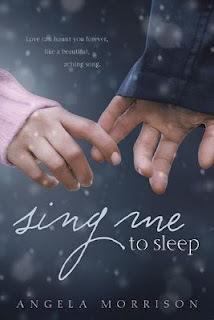 This book sounded really cute, and it was! I mean a story about a guy who works at a nail salon! I enjoyed how the story was told from both Cort and Rachel's pov's, which is unusual in this type of novel. I also liked the twist in the middle. 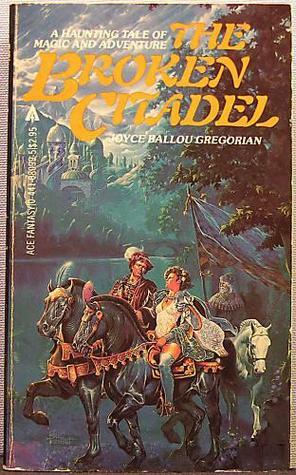 One problem I had with this book was that the romance was too short in my opinion, and was not developed enough. But overall it was a fast read with well developed characters. COVER: I don't like the cover, it kind of goes against the book. Amazing contest at the Bookologist!!!!!!! Here are the details! There are (3) boxes, each box contains (4) ARCs, there will be (1) winner who gets to pick one box. I wish I can give all these books away, but if I do, I'm afraid I'm the one who won't have anymore books! You want to do hard things. But you don’t know where to start. You are changing the world around you. But you are tired and burned out. You feel called to do the extraordinary for God. But you feel stuck in the ordinary. Do Hard Things inspired thousands of young people around the world to make the most of the teen years. Now Alex and Brett Harris are back and ready to tackle the questions that Do Hard Things inspired: How do I get started? What do I do when I get discouraged? What’s the best way to inspire others? 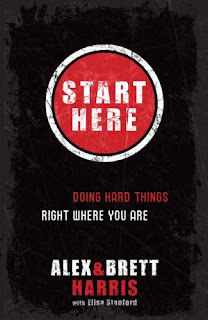 Filled with stories and insights from Alex, Brett, and other real-life rebelutionaries, Start Here is a powerful and practical guide to doing hard things, right where you are. Are you ready to take the next step and blast past mediocrity for the glory of God? This book is very different from other books that I review, but it intrigued me. This book can be applied to anyone's life not just Christians. All people need to stand up for what they believe in and start doing things that will help our world. This book really emphasizes that. Overall a good book with a good message that is not too preachy. I enjoyed the encouragement to go out and do things that you may not feel comfortable doing but know you should. So I decided to do Book Blogger Hop this week, I just found out about it today and so I am really excited to discover some new blogs! 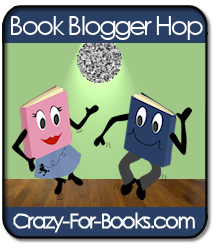 It is hosted by Crazy-for-Books so check it out! If you found my blog through the Hop please leave a comment with your blog url so I can return the favor! And thanks for visiting! I hope you like it! Jared Whitcomb is a chain-smoking sixteen-year-old heart-transplant recipient who befriends Sebastian, and begins to teach him about all the things he has been missing, including grape soda, girls, and Sid Vicious. They form a punk band called The Rash, and it's clear that the upcoming Methodist Church talent show has never seen the likes of them. I am still confused about this book, when I first picked it up I hated it, but about halfway through it, I fell head over heels into it! It went from a whiny boy, to a bunch of different characters that were so real they could have been my next door neighbors! This book was nothing like I expected, each new chapter forced me deeper into the complex lives of all the characters, not just Sebastian. While the plot was kind of slow in the beginning it quickly took form into a wonderful book that left me longing for more. Overall this was a book that enchanted me, but left me searching for what rating to give it. Basically it left me thinking, which is a really cool thing about books. I cannot wait to read more by this author! Here is the new Trailer! Hi everyone! I have some winners to announce for my Wherever Nina Lies contest! Congratulations to the winners (I have emailed you) and thanks to everyone who entered! Remember to enter my Dark Divine Nail Polish giveaway! 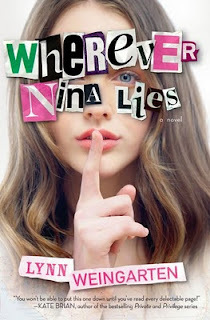 Only one more day to enter my Wherever Nina Lies Contest! So make sure and enter for a chance to win 1 of 3 paperback copies! Josie’s never met her dad, and that’s fine with her. To Josie, Paul Tucci is just a guy who got her mom pregnant and then moved away. It all happened sixteen years ago, when Josie’s mom was still a teenager herself. But now Paul Tucci is back in town, and Josie has to deal with not one but two men in her life—her father and her first boyfriend, who Josie fears will hurt her just like Paul hurt her mother. This was a very cute book! With a tale that starts out being relevant to many people's lives today, it weaves the story of a girl, trying to find her identity, and coming to some final realizations that she never expected! I really enjoyed the characters in this book! Josie had a really interesting voice that is characteristic of Natasha Friend, I enjoyed this book better than some of her other ones, because even though it dealt with some hard issues, I enjoyed the way this book was laid out better. Overall this was a good book, but it was too short and I did not feel that the story was explained well enough, and the way the plot progressed was too quick, but I cannot wait for more books from Natasha Friend. Sixteen-year-old music and sound design obsessed Drea doesn't have friends. She has, as she's often reminded, issues. Drea's mom and a rotating band of psychiatrists have settled on "a touch of Asperger's." Having just moved to the latest in a string of new towns, Drea meets two other outsiders. And Naomi and Justin seem to actually like Drea. The three of them form a trip-hop band after an impromptu jam session. Justin swiftly challenges not only Drea's preference for Poe over Black Lab but also her perceived inability to connect with another person. Justin, against all odds, may even like like Drea. It's obvious that Drea can't hide behind her sound equipment anymore. But just when she's found not one but two true friends, can she stand to lose one of them? I enjoyed this book, because I felt that many different people could relate to Drea, and her problems, big, and small. I can relate with having trouble making friends as can a lot of people, so it was nice to have a character I could semi-relate to. This book had some very harsh issues in it. 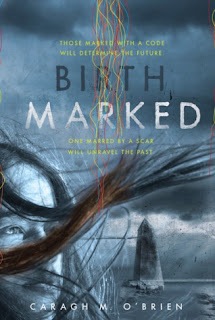 Things that i think are very important, and should be discussed in YA literature, even more than they are, so I commend Tara Kelly for addressing those issues. I enjoyed all of the different types of characters that were in the novel, there were not too many people who were "stereotypical" which was nice. The plot moved forward pretty well, but it was kind of slow in the middle, and at times was a tiny bit confusing, but overall this book was a really good debut and I cannot wait to see Tara grow as a writer!